I suspect many of us here are also 4FTS men, and probably a few women now too. Now didn't 4FTS put down a revolt in Iraq around 70 years ago, with most of the sorties flown by students? And didn't every one of us hope for a chance to repeat that? And the way the World's turned, I reckon we probably could - if we could choose our own ROE. Thanks for posting that. Something that will certainly entertain my family on Christmas day. Hey Fox3- you sure you posted your reply on the correct thread- wild thread drift, but not arguing with the content! Frederick Forsyth learned to fly Vampires with 4FTS, then at Worksop. No 4 Service Flying Training School was, indeed, at RAF Habbaniya during the siege of 1941. I was fortunate in my early years (late 60'S, early 70's) to spend many months resident in the No 1 Mess of the Royal Air Force . i.e Farnborough. One of our retired Flying Medics told of being one night in foul weather , totally 'uncertain of position' ,with a misbehaving Anson and communication collapses. As the stress levels went up,he was suddenly aware of a "presence" in the cockpit. He recognized this as a friend who had died on Meteors some months previously, and calmed down as he felt his friend "guide" him out of the situation and to a final safe conclusion. All totally irrational, and one of the pioneer RAF Flying Doctors could have been considered well out of order in telling the story to a susceptible young officer pilot. Last edited by Haraka; 17th Dec 2014 at 17:28. Ah now I understand the connection to 4FTS. BTW for fans of the CBC recording, if you go to the link given by A330, and access the 38:25 version listed from whodannywho, there is an initial 5-6 minute interview with Frederick Forsyth regarding the story, and then he begins a narration, fading into Alan Maitland. I'm not sure if the interview is available separately. I used to live near Worksop! UFOs in Arizona however....I've lived and flown in Arizona; I would imagine it was an atmospheric phenomenon connected to the refraction of light in heated air. *It is 'rational'. I think it is the brain's way of resolving a belief that one is incapable of the actions which the brain understands are required. Last edited by Fox3WheresMyBanana; 17th Dec 2014 at 17:45. Top quality........only meant to look but just HAD to listen to the end!!! Freddie Forsythe was a National Service pilot trainnee who was a couple of courses behind me at 8 FTS Swinerby in 1956/7. This is where he gained the Vampire experience to write the Shepherd. TBH I can't remember him as courses tended to stick together socially. Worksop was a Meteor AFS. I stand corrected. My info was from a RAF Worksop website; they 'claim' him. 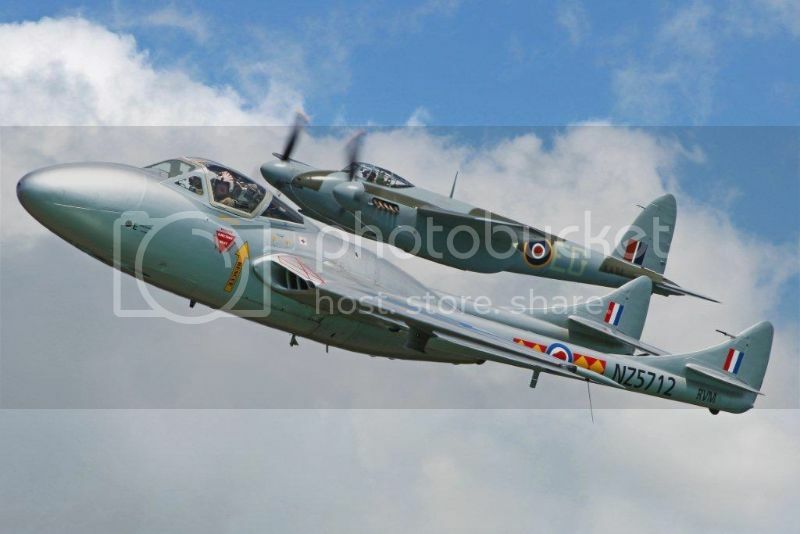 4 FTS (Vampires) was indeed at RAF Worksop while the Meteor AFS was there. I was an instructor in the Ground School there and at its previous location. Historically, 4FTS moved from RAF Middleton-St.-George to Worksop for a short time only before continuing on to RAF Valley, which is when I left the unit. The relevant dates escape me in my dotage. Slight drift, but my Great-Great-Uncle (Sir Hughie Edwards) was CO of RAF Habbaniya during Suez and the Iraqi Revolution in the 50's. I humbly stand corrected. Frederick Forsyth's name came up at a 111 course reunion many years ago, after he became famous. As I said, I can't remember ever meeting him at Swinderby, but several people present were convinced he was there in 1957. I encourage everyone to listen to "The Shepherd", read by the inimitable "Fireside" Al Maitland. I'm fortunate enough to possess an illustrated corrected proof copy (on proofing paper, no less!) of The Shepherd. Merry Chiristmas to all ! A great story by one of the best storytellers around. I read that many years ago during flying training and listening to Al Maitland reading it just now reminded me of what an excellent tale it is. 'Roger,' says I, trying not to sound concerned. Less than a minute had elapsed and I had a crew to share the moment with, but it brought back Frederick Forsyth's story. On my way to visit my parents today I looked up and saw few contrails on the sky. I realised that most of the passengers are not leaving. They are heading home. Pilots may miss Christmas eve because they are on duty. But I wish they could perceive all the joy they cause when they bring the loved ones to the festive table. I am not a pilot (just being partly acquainted professionally with aviation) but I would like to express my gratitude to all of you who make it happen – we arrive safely wherever we go as SLF. You are our shepherds on seats 0A and 0B every time we want to fly somewhere. I've heard a story today from a lady who experienced hard time 40 years ago because her mother became ill and she was placed with her brother into an asylum. Mother was released on Christmas eve and she was unable to go shopping to buy some gifts, only thing she could do was to bring the Christmas tree. Picked up her children and there was nothing below the tree. Yet the lady who told me the story said that she remembers this as the best Christmas ever. It was just being with the loved ones, at home. That was more than enough. As I watched the sky today I was thinking of all the pilots who bring the joy to the world.